14 VINYL (THERE ARE NO) RULES! 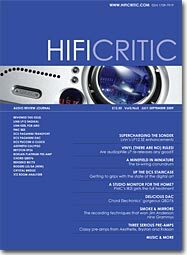 Are audiophile LP re-releases any good? 20 A STUDIO MONITOR FOR THE HOME?